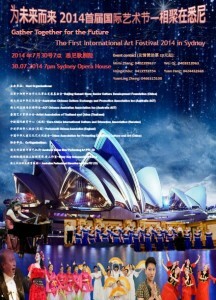 Annual Lantern Festival organised by the Australia China Friendship Society on 15 February 2014 was very successful. Dancing and musical performances by Canberra Communities including the Australian Chinese Culture Exchange and Promotion Association were presented to celebrate this event. Click SL to watch slide show; click FS for full screen. The fourth Christmas Party, was again organised in conjunction with Canberra Australasian Christian Church (CACC) and ACT Chinese Australian Association (ACTCAA) and held on 8 December 2013. A total of 16 well-received singing and dancing programs were presented to a room of audiences in the Function Room, Level 2, Theo Notaras Multicultural Centre.